Have you ever thought that in a country which art had sprung into different forms, have we overlooked a certain form? 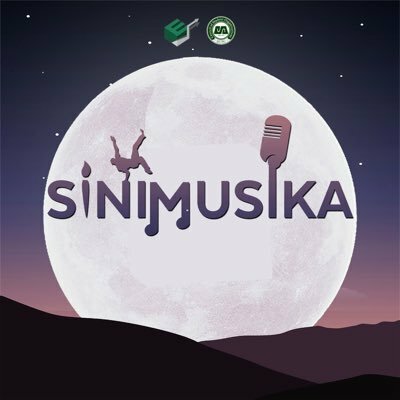 SINIMUSIKA, an event by De La Salle University's Economics Organization, is an art and music festival which aims to promote awareness of the varieties of art forms. Through this event, we would widen our perspectives about the different forms of art we are exposed to and appreciate the ones we may have overlooked. SINIMUSIKA wants to provide opportunities for rising artists in different fields of arts to showcase their talents and passion with their respective art forms by supporting their beneficiary, Heart of Music, who aims to support struggling artists with disabilities. Artists performing workshops for caricatures, jewelry making, impromptu acting, make up and videography would showcase the different forms of art. Aside from that, we have exhibits on food art, digital art, paintings and Live Paint! 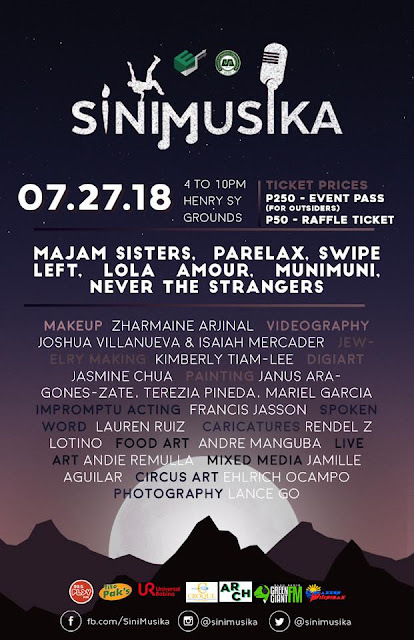 We'll be ending the day with the most appreciated form of art, music, with performances from Majam Sisters, Swipe Left, Parelax, Lola Amour, Muni Muni and NEVER THE STRANGERS. Let's celebrate art and its different forms on July 27, 2018 at De La Salle University-Manila's Ground Floor, Henry Sy Sr. Hall! For any questions or clarifications, you can contact Justine Kho at 09178775524.